*any fruit combination will work! Combine fruit into large bowl. 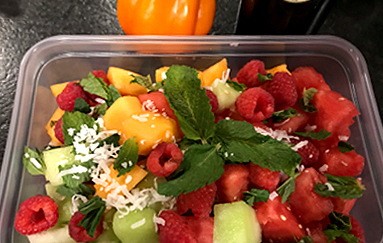 Chop fresh mint leaves and gently toss with fruit. *Coconut can be toasted at 425 degrees for approximately 5 minutes or until golden brown. Adds richness of flavor to the fruit salad!